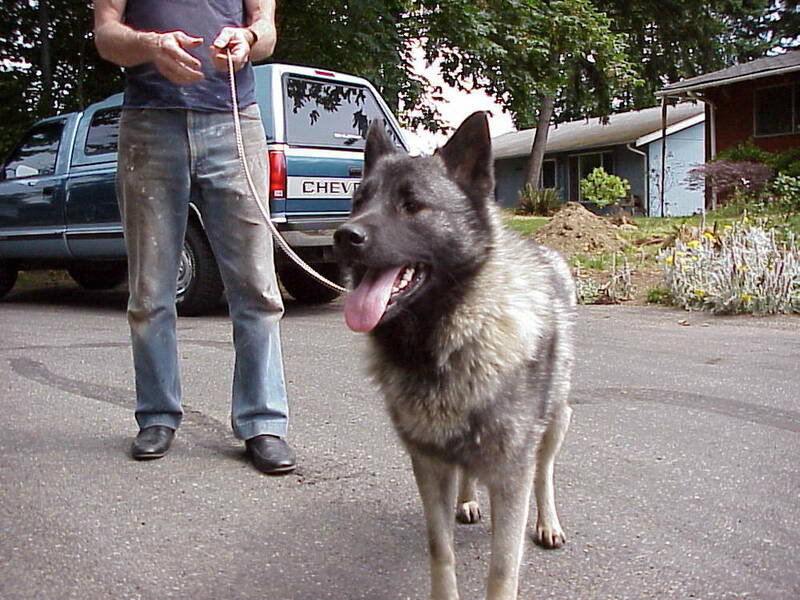 The Norwegian Elkhound dog was once used to hunt big game like moose, bears, and elk. Their hardy appearance is a testament to that history! They’re medium-sized spitz type dogs that weigh between 44 to 51 pounds and stand between 19.5 and 20.5 inches tall. 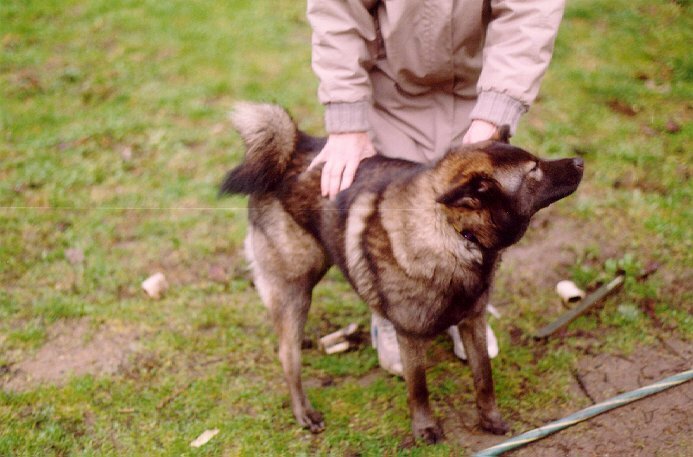 They have a characteristic lightly curled tail and a coarse double coat. 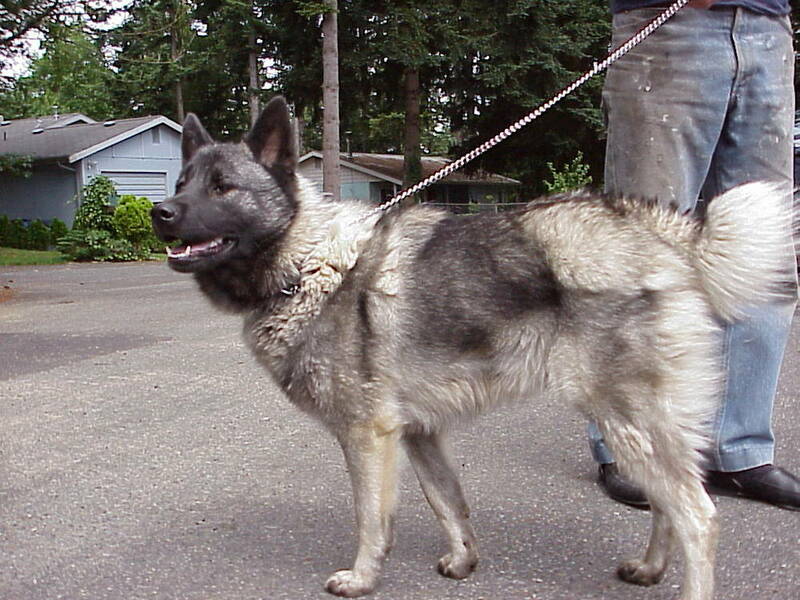 The Norwegian Elkhound’s coat is black and white. They have pointed, erect ears and a broad, wedge-shaped head. 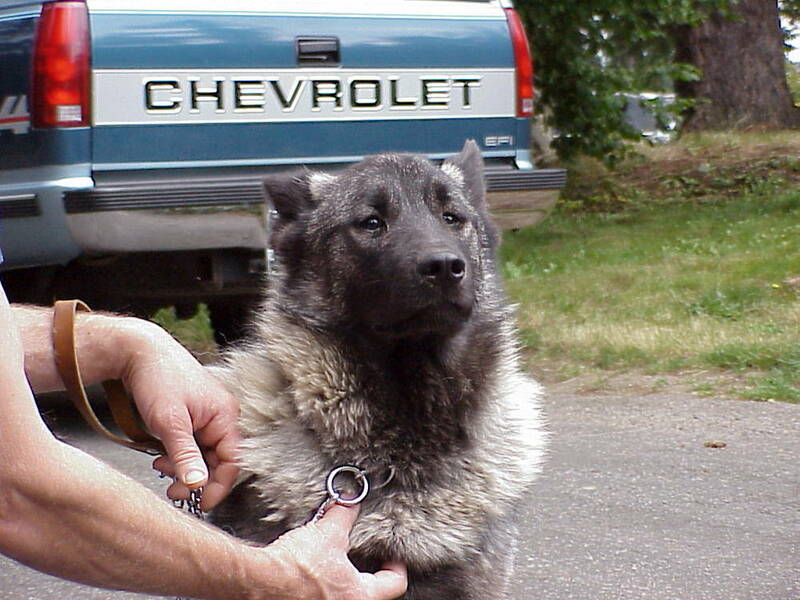 Notably, the Black Norwegian Elkhound is a separate, smaller variant of the ancient Norwegian Elkhound. 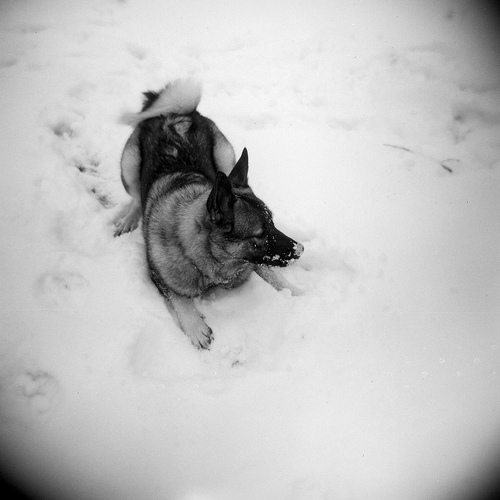 Fiercely loyal, the Norwegian Elkhound dog is an excellent family companion. They’re bold, independent, and intelligent, and they love children! 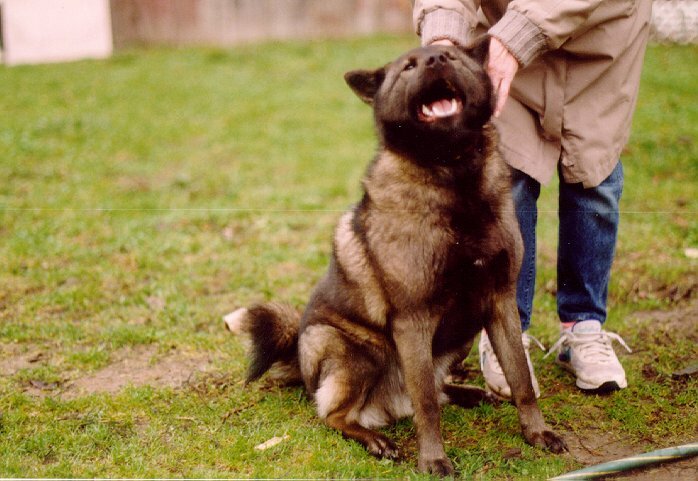 Your Norwegian Elkhound puppy should be socialized and trained; this breed tends to be reserved around strangers, but they’re sweet and friendly with people they know. 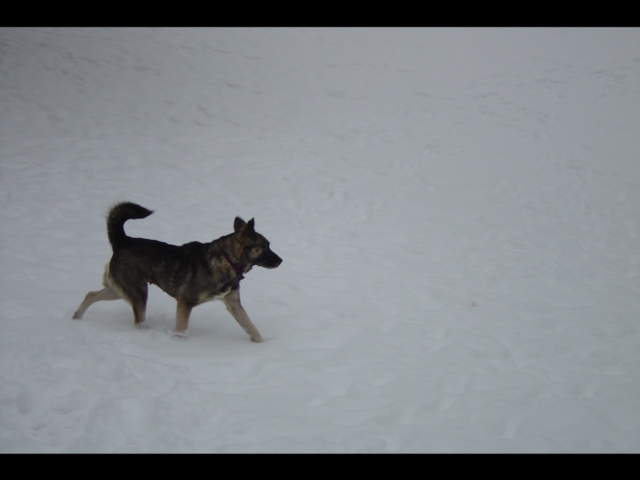 The Elkhound dog requires moderate exercise, so plan on taking your pup for long walks and plenty of training to curb their headstrong nature. 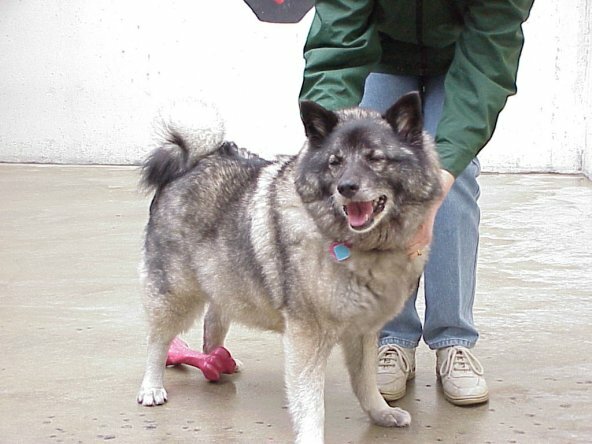 The Norwegian Elkhound dog is one of the oldest dog breeds. They have even been found in Viking burial grounds! 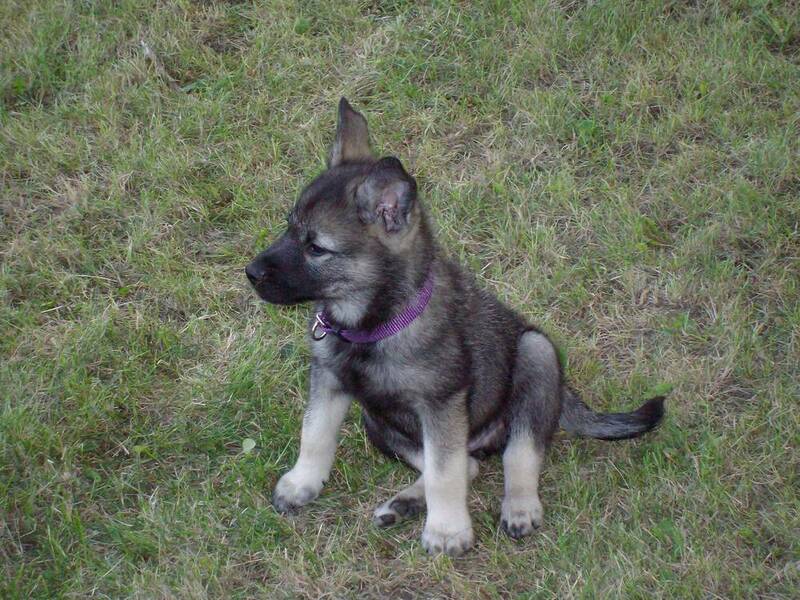 Search our database for Norwegian Elkhound puppies and Elkhound breeders! 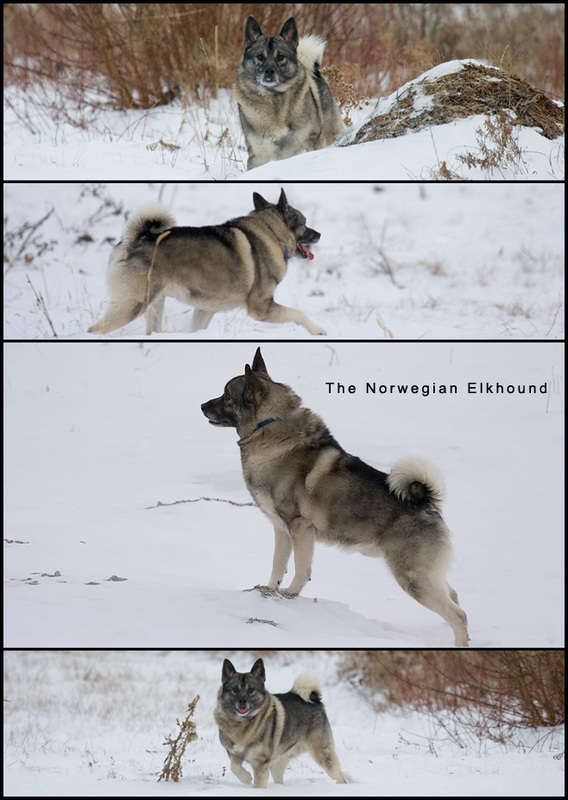 Interested in learning more about Norwegian Elkhounds?CLICK HERE!